James Plugh, erstwhile newspaper owner and journalist, divides his time between his homes in Massachusetts, London and Paarl, Western Cape, South Africa. The best part of all of this is that Back Chat has prevailed upon him to become a contributing editor! So, from time to time, he will email accounts of his adventures, experiences and encounters. He will keep us entertained with his wonderfully informed, humorous and sometimes irreverent approach to the world he inhabits. Join James Plugh as he takes us on a tour of "The Frick Collection, a magnificent art collection located in one of the last private mansions left in Manhattan." Hear the tales of Robber Barons and of a time in America when great fortunes were made. I am sorry to take so long to respond to your request that I write an occasional piece for your excellent blog. It’s been non-stop travel and work since we returned from South Africa in late April. We were lucky on our return as we arrived in London the day before all the airports were closed because of the ash cloud, and flew back to Boston (on schedule) the day they re-opened. Returning home with us was a good friend, Lizzie, who was making her first ever trip to the States. In fact your phone call asking me to write came while Lizzie and I were touring Old Sturbridge Village, a living museum of 1840’s American life located about an hour’s drive from our home in Massachusetts. 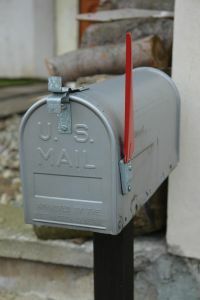 I must confess that I was at a loss as to what your readers might find interesting and eventually decided not to write about a given subject but rather to occasionally send along some ramblings about things that catch my interest as I move about. Today I’d like to tell you about a wonderful day Lizzie and I spent in New York City visiting The Frick Collection, a magnificent art collection located in one of the last private mansions left in Manhattan. It houses Old Masters, famous Dutch seventeenth-century and English eighteenth-century paintings as well as superb Italian Renaissance paintings, Chinese porcelains, French furniture and Renaissance bronzes. Setting aside the more than 1,100 individual items in the collection, Lizzie and I were taken by the residence itself and the fact that much of the collection is displayed as it might have been when the mansion was occupied by the Frick family. Just to walk around the rooms and view the works of Rembrandt, Bellini, El Greco, Gainsborough, Turner and so many more artists was remarkable. The Collection also supplies each visitor with an audio tour player that gives a running commentary of each room and allows the listener to hear detailed information on selected pieces. Some research shows that the Frick mansion was built by Henry Clay Frick in 1913 for a cost of about $5,000,000 ($112 million or R850 million in today’s money) on the corner of 5th Avenue and 70th Street, facing Central Park. It occupies an entire block. The Foundation which now controls the collection has added some rooms to the original residence since Frick’s death in 1919. Frick, in 1871 at age 21, founded a company in Pennsylvania that transformed coal into coke, an essential ingredient in the making of steel. By 1881 he and his company controlled 80% of all the coal output in the state. A few years later he formed a partnership with the steel magnate Andrew Carnegie, which eventually became US Steel. Frick was notably anti-labour and the blackest mark on his reputation has to be a labour strike against one of his steel plants in Pennsylvania which is still remembered as The Homestead Strike of 1882. When I found this information I remembered having studied the strike in my American History class back in the middle of the last century. Frick hired Pinkerton guards to break a strike at the plant. The armed guards stormed the facility and what ensued was a gun battle that started at 4 a.m. and did not end until 5 p.m. that night with 10 people killed (3 Pinkertons and 7 workers) and many more wounded. Frick lost the battle that day but won the strike in which 2,500 workers lost their jobs and those who remained had their salaries cut in half. 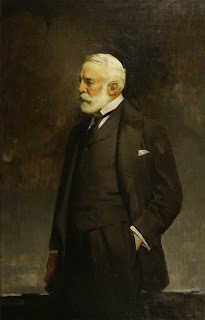 Like many of his fellow nineteenth-century Industrial Barons, Frick decided to share his great wealth with the public, but only after his death (perhaps he was trying to buy his way into Heaven!). He had been a noted art collector and it seemed logical to leave that collection, properly housed, for the public to enjoy. To that end he decided to build a residence in New York and to keep in mind its eventual usage as the plans were drawn. He was only able to enjoy the home for less than six years before his death and his will provided the lifetime use of the house for his wife, Adelaide, and an endowment of $15 million to ensure the maintenance of the house and the collection and for the purchase of additions items. The Frick Collection was opened to the public upon the death of Mrs. Frick in 1935. Three of my favorite paintings in the collection are to be found in the Living Hall. On the right as you walk in is Giovanni Bellini’s “St. Francis in the Desert” (1480). 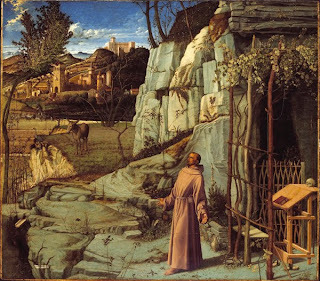 I love the detail in this painting as well as the different emotions … from the almost pulling of the saint toward the unseen light source as he is receiving the stigmata to the calm continuance of life in the background. My love of history makes me select the other two paintings. 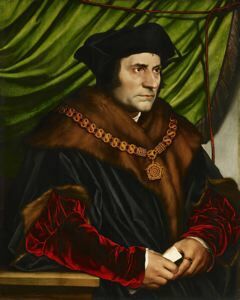 They are German artist Hans Holbein’s portraits of “Sir Thomas Moore” (1527) and “Thomas Cromwell” (1533). Frick has had these two antagonists hung facing on opposite sides of the fireplace, glaring at each other for eternality. Frick acquired the Cromwell painting in 1912 and the More in 1915 and reflects his enjoyment of pulling together related subjects by the same artist. He does this again several times in the collection including his acquisition of Whistler’s “Arrangement in Black and Gold” and “Arrangement in Brown and Black” in 1914 and the artist’s “Symphony in Flesh Color and Pink” and “Harmony in Pink and Gray” which he acquired in 1916 and 1918 respectively. Whistler painted these portraits of English gentry between 1871 and 1892. They depict the subjects in period dress and I could picture them (or their ghosts) strolling about the museum with us. These are the most modern of the paintings in Frick’s collection and are striking in contrast. The Metropolitan Museum of Art, the Guggenheim and the Museum of Modern Art are the big name, must see art museums in New York but I would strongly recommend a visit to this little jewel, The Frick Collection. 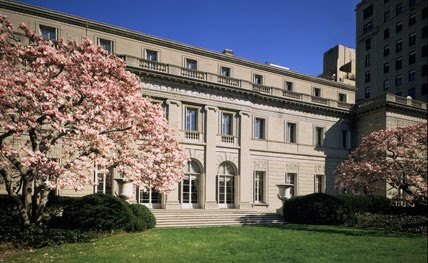 If you’d like to read more about The Frick Collection I suggest you visit their website at: www.frick.org. This is a great website which features a 360◦ “virtual tour” of number of rooms as well as photographs and detailed descriptions of most of the items in the collection.